We begin with Anna Jane Joyner & Mary Anne Hitt and their help-filled podcast “No Place Like Home”, supported by the Sierra Club. The producer is Zach Mack. Get all episodes free on Itunes. Or you can listen on Soundcloud here. Scroll through the episodes. There are some great shows here, with some climate thought-leaders you have heard about, and a lot more new thinkers you should hear from. In this episode Anna Jane has clips from an interview with Dr. Renee Lertzman, the well-known environmental psychologist. The interview with Renee was recorded at the Global Climate Action Summit in San Francisco, September 2018. Renee Lertzman does a lot of lectures helping anyone with environmental anxiety cope. She refers to the “Three A’s”: Anxiety, Ambivalence, and Aspiration. As Anna Jane says “trying to save humanity for this suicide mission is intense emotionally“, so all of us need to watch our mental health. That includes Radio Ecoshock listeners! Mary Anne used to work on environmental issues in New York City, and even experienced panic attacks. She moved to Texas, where she experienced hurricanes and flooding instead. 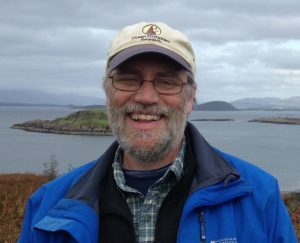 Now we get the latest on the Extinction Rebellion, courtesy of Rob Muir and his show “Environmental Dialogues” as broadcast on The VoiceAmerica Variety Channel. Dr. Rob Muir is President and Executive Director of the Ocean River Institute based in Cambridge Massachusets. 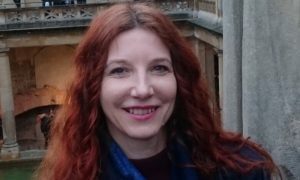 Alison Green is a UK cognitive psychologist. She is a former Pro Vice-Chancellor at Arden University. She left that distinguished career in academia to become a full-time climate activist! 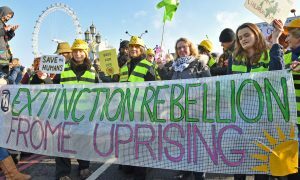 Rupert and Alison give us a look into the “history” of Extinction Rebellion (which just started less than a year ago) with founders Roger Hallam and Gail Bradbrook. 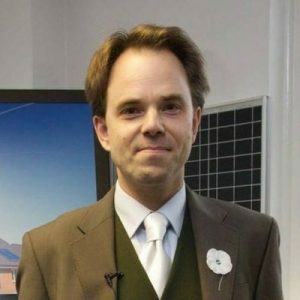 Roger is a researcher at Kings College London and Gail is an activist, not only for the environment but for the disabled. “In governance, sortition (also known as selection by lot, allotment, or demarchy) is the selection of political officials as a random sample from a larger pool of candidates, a system intended to ensure that all competent and interested parties have an equal chance of holding public office. It also minimizes factionalism, since there would be no point making promises to win over key constituencies if one was to be chosen by lot, while elections, by contrast, foster it. In ancient Athenian democracy, sortition was the traditional and primary method for appointing political officials, and its use was regarded as a principal characteristic of democracy. Really? Random selection from the public, and then we give them some “education” and let them decide? With no test of public governance, experience, or basis in merit? I think that is doubtful but Rupert Read says “Frankly, they couldn’t do any worse than the current politicians“. Alison talks about Labour Councillor Skeena Rathor as heart of Extinction Rebellion. This “Rebellion” is absolutely non-violent. It calls for a return to “real democracy”, and a recognition that our current political and economic systems (a) cannot save us and (b) are destined to destroy us. Mass civil disobedience is required to force the needed changes. The first big protest was “the bridges event” in London. On November 17, 2019, thousands of people joined in downtown London. They stepped into the roadways to block five main bridge into the city. In a follow-up, on November 24th, protesters dug up part of Parliament Square and planted trees there. The group carried a casket. Rupert Read says feelings of grief, loss and terror have been suppressed in the environmental movement for too long. Not it is time to tell the awful truth about not just climate change, but the mass extinction of the species and the destruction of the world environment by humans. We must face the reality of what we have done – but no one should “accept” extinction! You can find Rob Muir’s full 52 minute broadcast, with more from Alison Green and Dr. Rob Muir, at oceanriver.org. To get this and other free podcasts, Click on Radio at oceanriver.org, or listen on The VoiceAmerica Variety Channel live every Thursday at 12 Noon Pacific Time. I hope Greta Thunberg gets that Nobel Prize. Over a million people in over 100 countries joined her school strike on Friday March 15th. Now we need the parents to listen, and start acting to save the future. We are out of time here on Radio Ecoshock. Please help support my radio program with your donation. That makes Radio Ecoshock free to 100 non-profit radio stations, free to downloaders all over the world, and helps me keep going personally (I don’t get paid by anyone other than you the listener). “How long, ye simple ones, will ye love simplicity? and the scorners delight in their scorning, and fools hate knowledge? Turn you at my reproof: behold, I will pour out my spirit unto you, I will make known my words unto you. Because I have called, and ye refused; I have stretched out my hand, and no man regarded; But ye have set at nought all my counsel, and would none of my reproof: I also will laugh at your calamity; I will mock when your fear cometh; When your fear cometh as desolation, and your destruction cometh as a whirlwind; when distress and anguish cometh upon you. Then shall they call upon me, but I will not answer; they shall seek me early, but they shall not find me: For that they hated knowledge, and did not choose the fear of the LORD: They would none of my counsel: they despised all my reproof. Therefore shall they eat of the fruit of their own way, and be filled with their own devices. For the turning away of the simple shall slay them, and the prosperity of fools shall destroy them. But whoso hearkeneth unto me shall dwell safely, and shall be quiet from fear of evil.